The Trash Pandas are now taking season ticket deposits. Click here for more info! Ralph Nelson is thinking about you. Every day. The managing partner of the Rocket City Trash Pandas talks with employees of the Double-A minor league team or other baseball experts. He's talking about you. "We talk every day about the fan experience," Nelson said. With just a little over a year away from opening day, we sat down with Huntsville Mayor Tommy Battle to learn more about his excitement for the Trash Pandas, his thoughts on the ballpark, and his love for the community. With just a little over a year away from opening day, we sat down with Madison Mayor Paul Finley to learn more about his excitement for the Trash Pandas, his love for baseball, and even his favorite ballpark snacks! Pennants! Golf balls! Onesies! In case you missed it, here are some highlights of the Trash Pandas Emporium grand reopening at Bridge Street Town Centre. Visit today to get all of your Trash Pandas gear in time for our first season! Be sure to like and subscribe to our new YouTube channel. The Rocket City Trash Pandas are already taking the lead and they haven't played a single game yet. 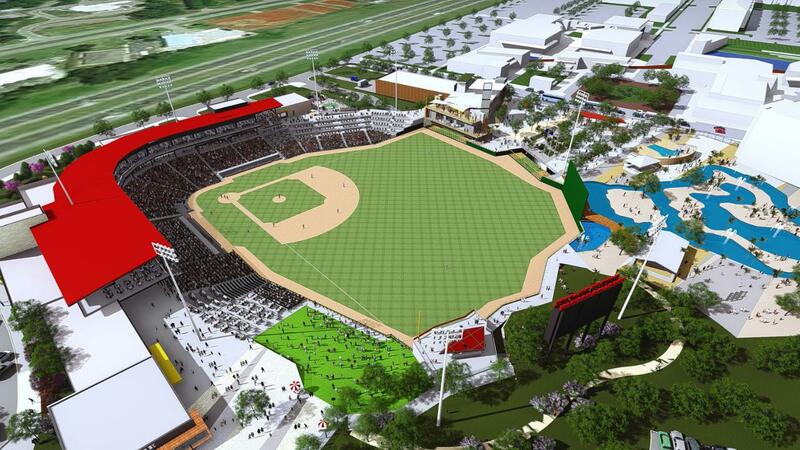 The new Minor League team's CEO says they're making history. Shirts, jackets, and hats are all things that fans can buy at the Rocket City Trash Pandas store in Bridge Street Town Centre, but those items aren't staying on the shelves long. The team's CEO said the community has truly stepped up to the plate in early merchandise sales. Soon after this article was published a viewer reached out with a recommendation for a new number one. 11 News staff could not argue the facts. In 2020 there will be a Minor League Baseball team known as the Rocket City Trash Pandas. After reviewing the logo and background for the new Madison, Alabama team 11 News has decided to crown the Trash Pandas the most ridiculous and amazing Minor League Baseball team name. Fly high Trash Pandas, fly high. Fans couldn't wait to get their hands on Trash Panda gear Saturday during the grand opening of the Trash Pandas Emporium. The store, located at Bridge Street Town Centre, had its soft opening Monday. Many camped out Friday night outside the store not only to buy merchandise but to also put down deposits on season tickets. The Rocket City Trash Pandas are coming to Madison, Alabama! The Pandas -- who will relocate from Mobile -- will be the Double-A Southern League affiliate of the Los Angeles Angels beginning with the 2020 season.